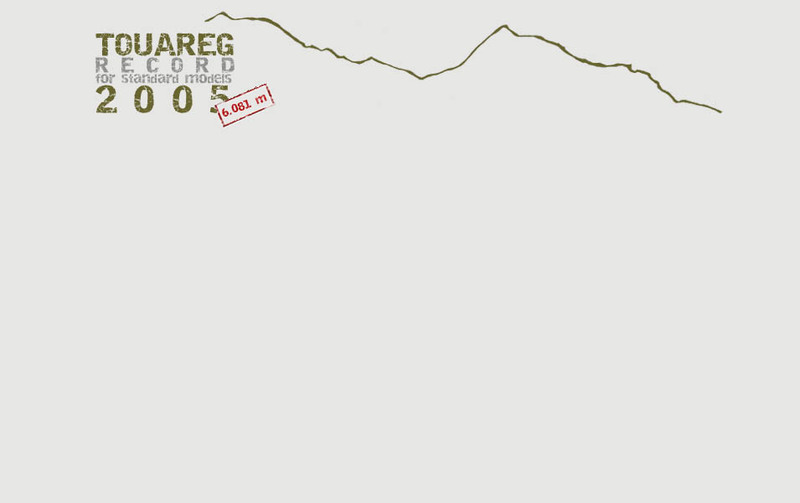 A new high altitude world record was set with a standard vehicle model, when the Touareg "Expedition" reached the 6,081m line (19,946ft) on 29th of January 2005, at 2pm local time. 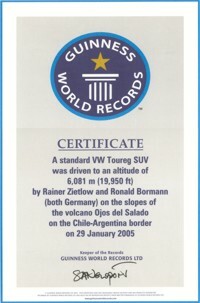 The world record was set within the guidelines of the Guinness Book of Records. The Guinness Book of Records committee in London acknowledged the achievement in written form on the 17th of February 2005.